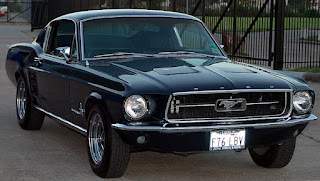 Today we’re going to be checking out the specs on an extremely popular auto restoration choice – the ’67 Ford Mustang. 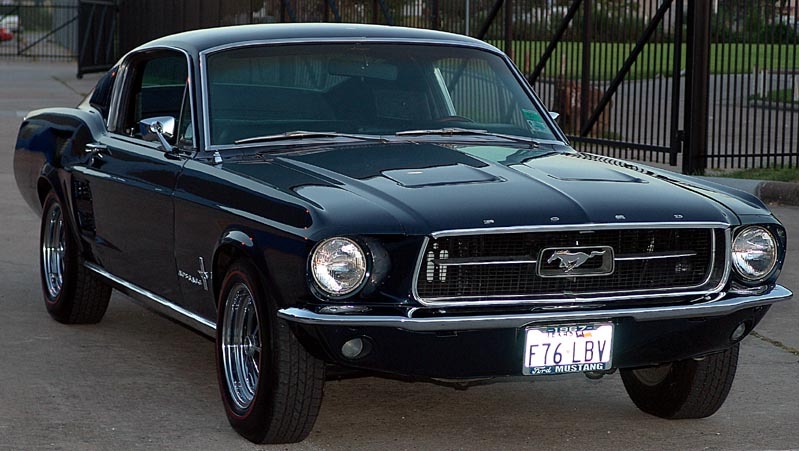 There were few changes in the overall appearance of the Mustang between ’66 and ’67. The main difference was that Ford decided to make the body a few inches wider and longer, to compete with the ‘bigger’ muscle cars of the day like the Camaro and Firebird. They also made the side scoops deeper and the front and rear styling more pronounced. The result was a slightly ‘beefier’ body that still managed to retain it’s original sleek appeal. In our opinion, this was one of the best looking Mustangs of all time, and a very good choice for your muscle car restoration. Inside of the car saw a few minor tweaks as well. The manufacturer added a added a brand new ‘twin cove’ design for the instrument panel, that brought with it a bigger crash pad and gauges. Other updates included SelectAire Conditioning, optional shoulder belts for both front seats, and a ‘Tilt-a-way’ steering wheel. Besides the appearance of more power, Ford actually delivered it as well with its’ engine choices in 1967. For the first time in the Mustang’s luminous history they offered a 390 cubic inch V-8, called the “Thunderbird Special”. This bad boy was powerful indeed, delivering 325 horsepower during chassis dyno testing! Even with this new engine, however, the Mustang was one of the slowest cars of it’s type in the quarter mile in 1967. This speaks volumes about the state of the muscle car industry at that time! One thing that didn’t change at all with the Mustang from ’66 to ’67 was the price tag. In both years you could get the base model for about $2500. Nowadays you can get a junker that’s ready for restoration for about the same or less. Fully restored though, they can go for anywhere between $12K to $40K depending on it’s options and condition!